Published On Monday, July 18, 2011 By admin. Under: Featured, Only Fools and Horses, Scripts. 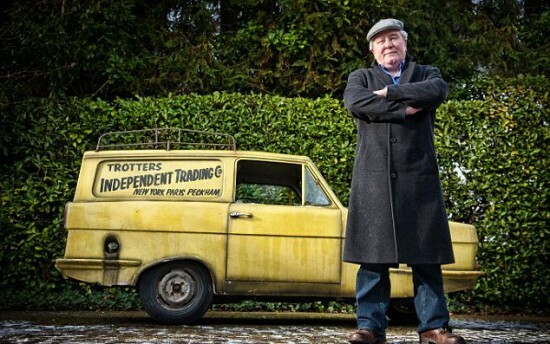 I thought I would pen my thoughts for this site on just how much John Sullivan’s writing on Only Fools and Horses means to me. I am a writer myself I currently have a movie been looked at around Hollywood, and im developing other projects. I would not have learned how to write if it was not for John Sullivan. I decided when I turned nineteen I wanted to be a film and television writer which was a bold decision for someone that had never written a thing!. There are two comedy programmes that have shaped my life there is Only Fools and Horses and Fawlty Towers, which I regard as the best situation comedies that have ever been made. 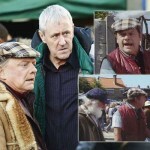 Only Fools and Horses though is the stand out single handedly best written and produced programme of all time. I grew up on an extremely rough council estate in the North at one point there was me my Mum and my Grandmother all in the same house and John Sullivan nailed it as to just what life was like in these circumstances. I watched the show since I was nine years old and been able to relate to the Trotters misadventures has put a smile on my face and got me through so many difficult and bad times. I have always turned to the show whenever I have needed cheering up, and it stands the test of time it is funny no matter how many times you watch it. In my opinion the key to its success is because the writing is so good, and the performances of the actors is quite simply outstanding. For me I forget that I am actually watching a comedy programme because it feels so real its almost like your dropping in on old friends. I started development on my first script in 1998 and it was quite simply terrible, the concept was good but my writing and layout looking back was appalling, at the time I thought it was great that was until I had a very terrible letter from the head of comedy at Yorkshire Television telling me I should pursue other avenues of work!!. I didn’t know what to do so I realised I had to teach myself how to write better. One day I headed to the book store and there was my bible that was going to teach me how to write, a book containing scripts for Only Fools and Horses written by John Sullivan in their proper industry layout. I studied the book hard and realised how wrong I had been in everything that I had put down and so I studied how John Sullivan put his masterpieces down and tried to emulate that style in my own work and I started to feel confident again. I rewrote the exact same sitcom I had been working on taking on-board what I had learned from reading John Sullivan’s work. Apart from laying out the script much better my writing improved too and I pushed out boundaries and learned that I didn’t have to be funny all the time in the writing. I pushed sensitive subjects and wasn’t afraid to have one or two moments which were sad. In the December my episodes were completed and I resent the work off this time to Granada Television in Manchester and the reception was completely different, they for one liked it. 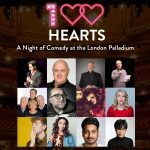 The head of comedy there wrote to me to tell me they were looking hard at it and I waited. On my Birthday I received a letter back saying sadly they had decided not to proceed with commissioning what I had wrote but they told me to try other networks telling me I would find a suitable home for my work elsewhere. I didn’t proceed further with this particular project but it was the starting point that convinced me that I did have the ability to write. 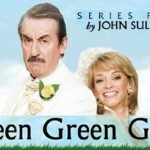 I think its amazing aswell by researching the way John Sullivan wrote and trying to learn from that I almost had my own comedy on Independent Television thats how good a writer John Sullivan was. I will track down the archives of these scripts I wrote if it is something people would like to read. Through learning how to write because of Only Fools and Horses and John Sullivan my life has been changed. I am currently developing my own small production company and I have a film script which has earned me invites to film festivals and numerous people are looking at it. I would not be in this position though if it was not for the adventures of Del Boy and Rodders!! !., and if I am successful in this new film venture I will make sure this is known. 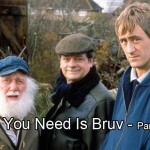 I am so pleased I discovered this fantastic Only Fools and Horses fan site it is wonderful and is a place for everyone who is touched by the show to share their thoughts. Its been a very sad year with John Sullivan passing away, I never met John but I was absolutely gutted when I heard the news, and I hope by writing this little piece I can express my thanks for everything I have learned from his work. i got an absolute bargain once – i was in Poundland in crewe, in about 2002, and i walked in and saw, the bible of peckham Volume 1 and volume 2, and also the The story of only fools and horses by steve clarke, at £1 each they were an absolute Bargain.